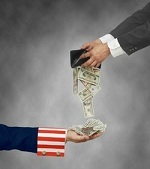 IRS tax liens are a claim the IRS uses to secure the collection of a tax debt. The purpose of an IRS tax lien is to ensure that a tax liability will be paid by holding an ownership stake against one of a taxpayer’s assets. A lien can be placed on a property, a bank account or any asset of significant value. It is important that a Notice of Lien be addressed immediately in order to ensure the most favorable outcome. While IRS tax liens can be complicated to remove, the CPAs at Professional Tax Resolution have the expertise to negotiate on your behalf and to demonstrate that your tax issues will be resolved to the satisfaction of the tax board. In many cases, as long as a comprehensive resolution plan is established to address or eliminate the tax liability, IRS tax liens can be released in a timely manner.